Greetings once again from down under and how the time does fly, not long before we are shopping for Christmas. The stores are already full of sparkling trees and tempting goodies to put under them. Unfortunately Spring has not yet sprung, and we are still having heavy rain but at least the dams are getting full which we need in the summer. The Queen of reality television Kim Kardashian made a flying visit to Sydney promoting her new fashion line, which included jewellery, handbags, hosiery, denim, shoes, and sunglasses. The first two hundred adoring fans after making a purchase received a signed photograph from the queen in person. After her one stop appearance she jetted off to Perth, Western Australia, to join her husband Rapper Kayne West, who is here for two weeks on his Yeezus tour taking in Adelaide, Melbourne, and Brisbane. Buddy Valastro, the cake boss himself is heading to Australia in October. His second visit down under promises to be as popular as his first when he had the audience on stage doing instant cake decorating. Gone are the days of the Victoria sponge, the sponge cake with cream and jam, and the humble Swiss roll. Today it is cake stupendous covered in any amount of chocolate, smarties, sweeties, icing, fudge, fondant, it’s difficult to find the cake! Elaborate masterpieces of Wedding Chapels, The Statue of Liberty, animals of all variety, cakes for any special occasion and cupcakes galore. You name it you can have it, perhaps we will see an Opera House covered in fondant. One thing for sure there will be plenty of takers to eat it. Prime Minister Tony Abbott met up with his counterpart in Malaysia, for discussion on the twin Malaysian Airline tragedies. Australia is leading what has so far been a fruitless search in a vast stretch of the Southern Indian Ocean, where MH370 is believed to have gone down. Experts are preparing for a more intense underwater search this month. Meanwhile, conspiracy theories abound “space aliens, time travellers, or beings from another dimension” were involved in the plane’s disappearance it is now believed. Speculation is rife, but the question has to be asked, how can an aeroplane just disappear in today’s powerful and sophisticated communication system? It sure is a mystery and one that Agatha Christie might well have solved given the opportunity. Melbourne man John Van Wisse smashed the world record in the gruelling 483-Kilometre Arch to Arc Ultra-Triathlon from London’s Marble Arch to The Arc de Triomphe in Paris. Known as one of the toughest sporting events Van Wisse is only the 14th to complete it. 140 Kilometre marathon run from London to Dover, then with atrocious conditions across the English Channel, where he was suspected of being an illegal immigrant and the Police and Coast Guard were called in. He clocked 61 hours 27 minutes by bike to the heart of Paris, 12 hours 12 minutes inside Mark Bayliss’s 2012 World mark. Heartthrob Johnny Depp could be coming to Australia. 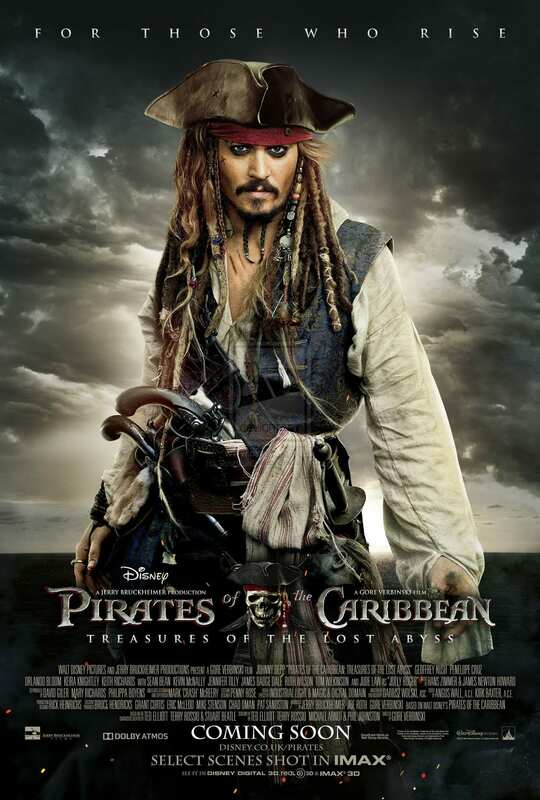 Pirates of the Caribbean 5 is likely to be filmed in Queensland in 2015. A tax incentive deal has been finalised with Hollywood’s Disney Studio that will enable the fifth instalment “Dead Men Tell No Tales” to be completed here. Production would be based at the Gold Coast’s Village Roadshow Studios and filming locations in far North Queensland will be used. Orlando Bloom hopes to be back on board together with Ozzie Geoffrey Rush. Australian designer Christian Siriano takes New York by storm with his backless blouses in washed silk and open lattice work in bright white for spring. Beads on sheer tops and sheer trousers, crystals embellished cocktail dresses, green brocades made up dresses short and long. With his signature beading now into his bags and shoes. While designer Dion Lee was inspired by Australian painter Jeffrey Smart with his stark urban landscapes. Featuring dresses draped over anodised aluminium chains, slouchy suiting, boilersuits and overalls, lace with gravel-like texture. Other Aussie designers were equally inventive proving the show a resounding success. The Sydney Welsh Choir is once again on tour for three weeks, featuring concerts and sightseeing in Wales, Ireland, and England. Flying overnight from Sydney to Abu Dhabi, where they will be staying in the beautiful Shangri –La Hotel. Highlights of the tour will be a visit to Trinity College Dublin to see The Book of Kells, and a concert with the Dublin Welsh Male Choir. A visit to The Dylan Thomas Centre and his birthplace, and a joint concert with The Cotswold Male voice choir. Their final concert of the tour will be held at the City Temple, Holborn Viaduct, where together with five other Welsh Choirs they will celebrate Welsh music and poetry, featuring the work of Dylan Thomas in his centenary year. Here at Shelly Beach the birds are fed up with the rain, a lorikeet and a yellow wattle thrush flew into the kitchen to hurry me up with their food. All ended well as I ushered them out and gave them extra. My manuscript “The Complete Guide to Painting and Decorating Porcelain” is available on Amazon, Xlibris, and leading bookstores. This handsome book with 67 colour plates of hand painted porcelain by the author, and a Foreword by Henry Sandon would make excellent stocking filler.